The section contains step-by-step information to help you use Novell ZENworks Application Virtualization to prepare the programs in Novell OpenOffice or LibreOffice to run as virtual applications. You can prepare a clean machine by uninstalling Novell OpenOffice or LibreOffice. However, we recommend that you start the process on a machine that has only the desired Windows OS, any applicable OS service packs, and ZENworks Application Virtualization installed. Starting with a machine that includes only these items helps to ensure that your virtual application does not contain settings that might cause conflicts. Saving the first snapshot lets you skip this step when snapshotting subsequent applications from the same machine image. You can download Novell OpenOffice and LibreOffice from the Novell Downloads page. 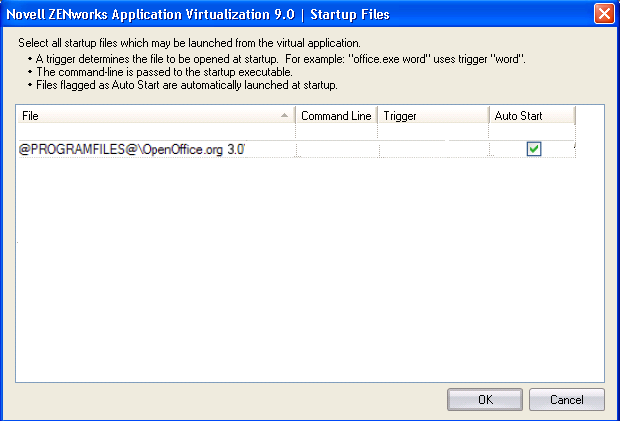 Selecting the quickstart.exe file causes the resulting executable file to launch the OpenOffice Quickstarter. 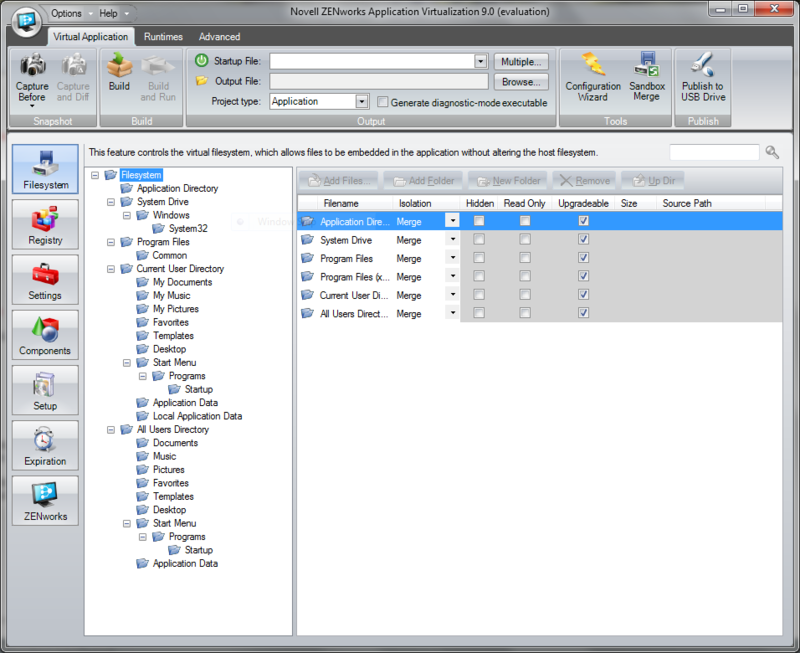 The OpenOffice Quickstarter, which displays in the notification area, lets users choose which OpenOffice application to launch (Writer, Calculator, Draw, Impress, or Math). You can also create a single executable file to expose multiple executable startup files (Writer, Calculator, Draw, Impress, or Math). ZENworks Application Virtualization allows multiple entry points into the virtual application to be triggered based on a command line argument to the virtual application executable. If you use Novell ZENworks or Novell ZENworks Configuration Management to distribute applications, command line arguments let you use the same application object for all OpenOffice.org programs. If you want to use the OpenOffice Quickstarter, skip to Step 13. If you want the virtual application executable file to expose multiple applications, continue with Step 12. If you create a trigger for each application in Novell OpenOffice or LibreOffice, you can use the trigger as a command line option in ZENworks Desktop Management or ZENworks Configuration Management to launch the desired application from an application object. For example, if you specify writer for the trigger for OpenOffice Writer, you could use writer as the command line option to open Writer when the user opens the executable. ZENworks Application Virtualization now supports publishing multiple bundles to ZENworks Configuration Management in one step. 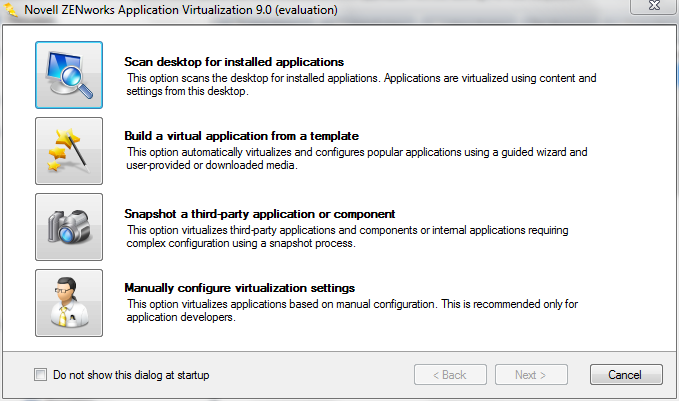 For more information, see What’s New in Version 9.0.1 in the ZENworks Application Virtualization 9.0.1 Readme.